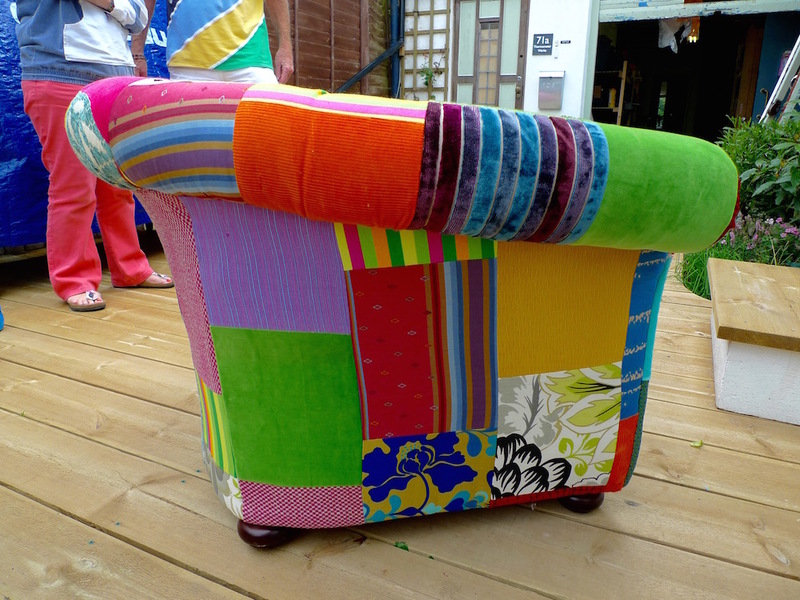 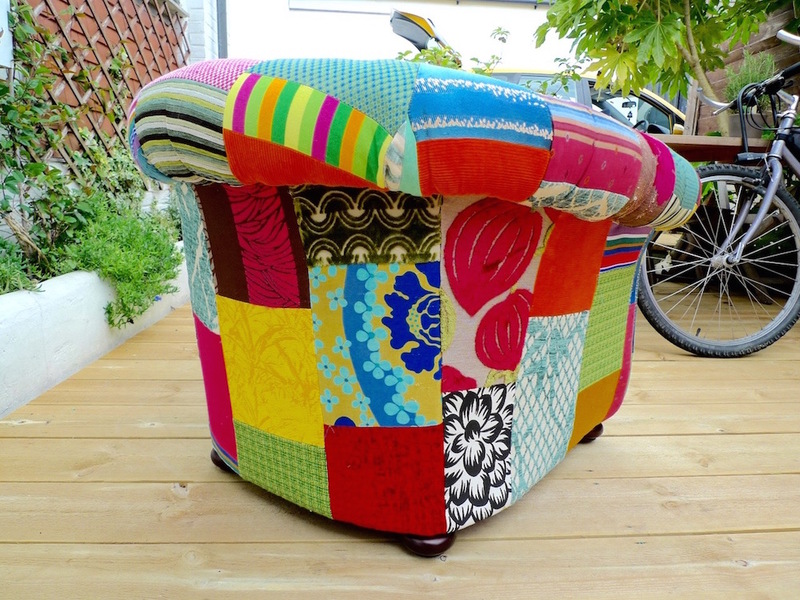 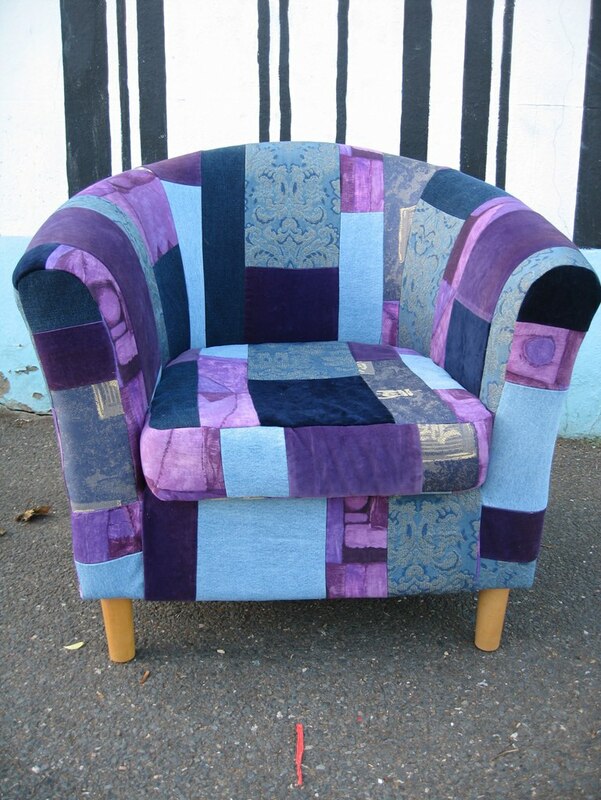 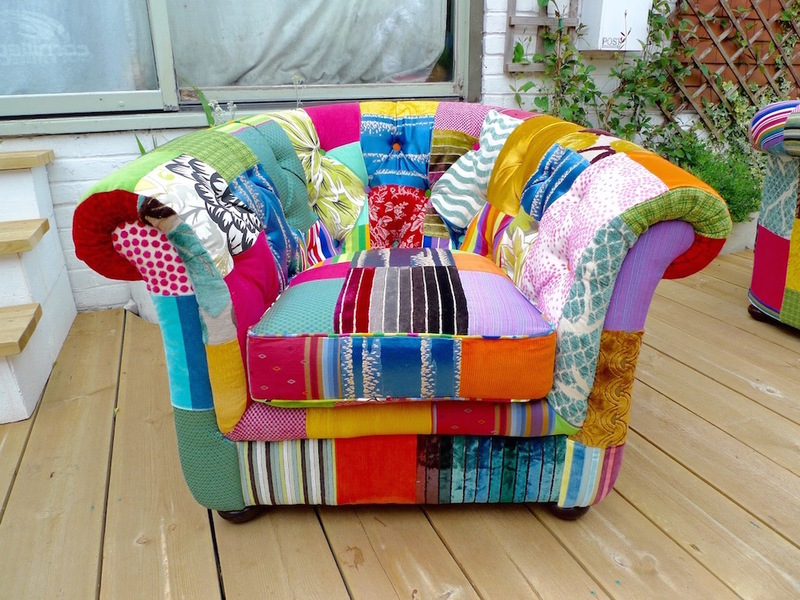 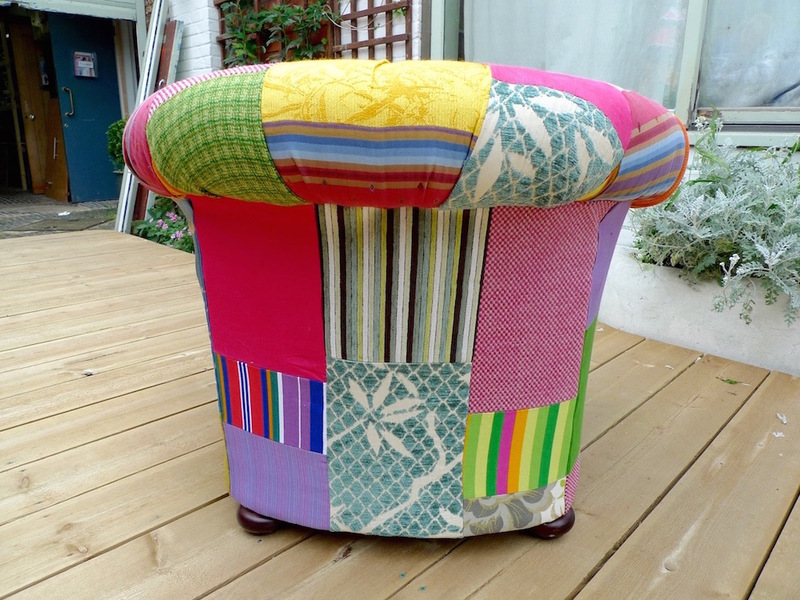 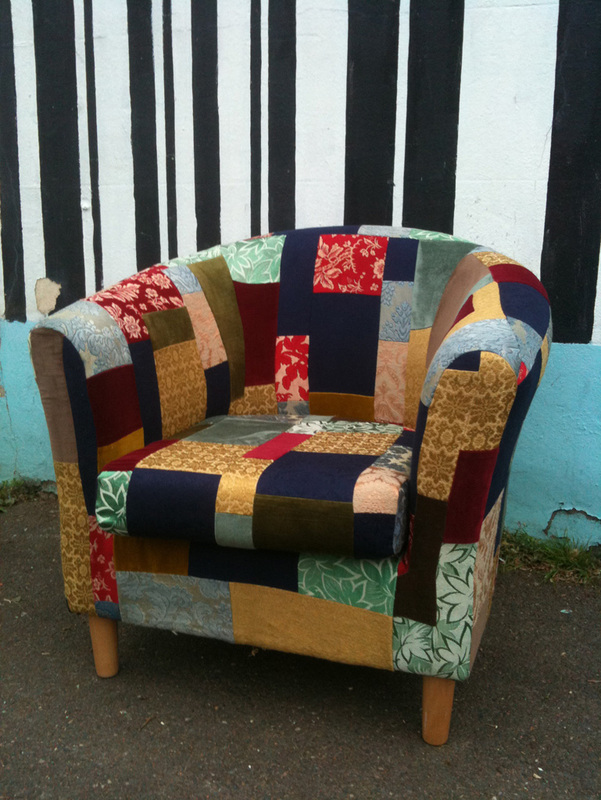 Lynn had seen some of my other patchwork armchairs on my website. 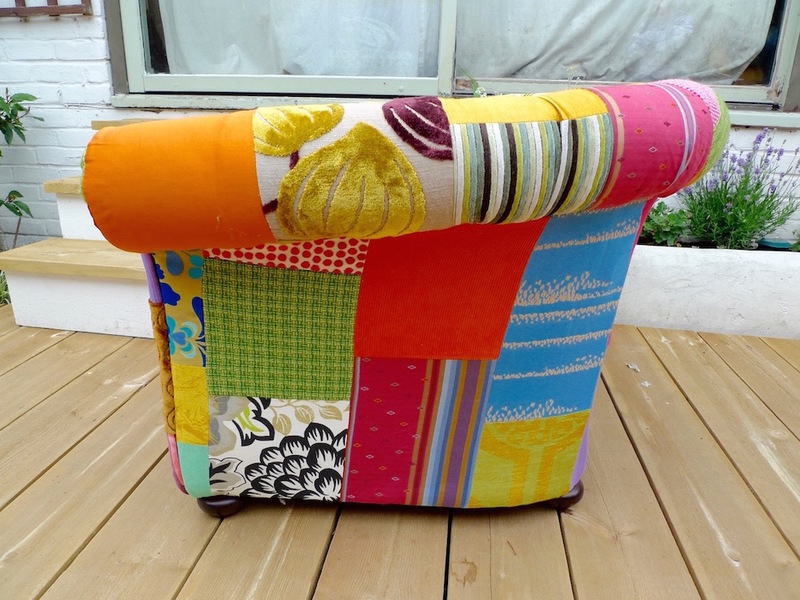 She had two comfortable armchairs that needed a facelift. 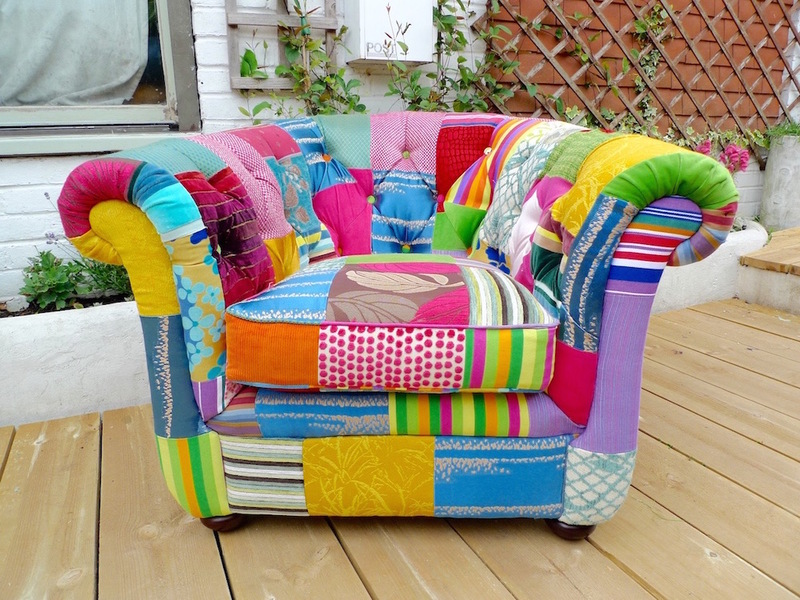 She wanted something in bright colours with a lot of pink blue and orange. 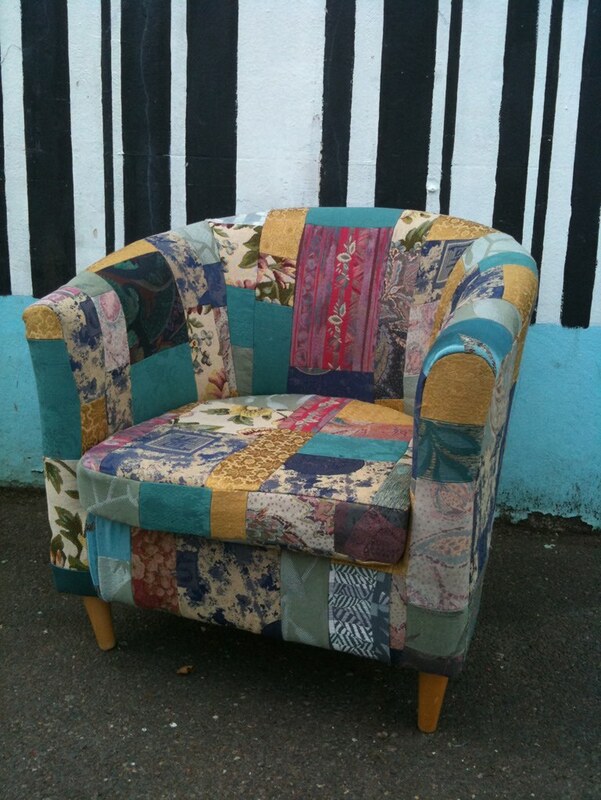 If you want to know what it looked like before, here it is!